A detailed analysis of the evolution of the political strategy and it's theological justifications within the groups and leaders that have come to define global Islamism. "Know thine enemy" is as true today as it ever was. The book debunks the simplistic dismissal of the islamist conviction as something from a deranged mind. 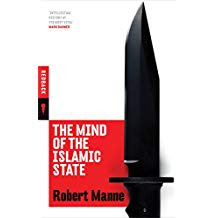 Manne explains the religious and political underpinnings of a movement that has close analogues throughout history - even in the west. The book reminds us that periods of "enlightened" tolerance are atypical, unstable and likely to be short unless we openly debate, understand and counter the evils motivated by faith.